Cookies, puppies, friends, neighbors, and cheer – At an open house? Yes, it’s true – it was the open house to end all open houses – and we aren’t even on the market yet! Mr. Chester came by to see what all the fuss was about! 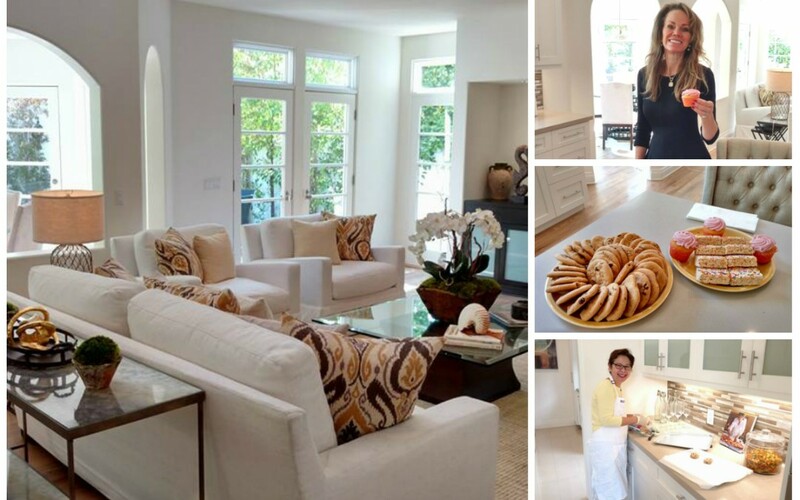 We held a special preview Broker’s Open today at 333 22nd Street in the North of Montana neighborhood of Santa Monica. This wasn’t your average open house. The fireplaces filled the space with warmth and the smell of Chef Nancy’s freshly baking cookies permeated the entire house. Connie’s warm way of greeting everyone as if they were family made you feel special – like you had received a first-hand invitation to celebrate with an old friend. People arrived before we even officially started at 11am, and were still coming in after 2pm. All this excitement, and the listing hasn’t even hit the MLS yet! A dozen friends and neighbors came by, in addition to the large number of realtors for whom Tuesday open houses are intended – and the first batch of cookies was gone in a flash! Karen Lewis, Nourmand’s Brentwood office manager, also came to show support. And even Mr. Chester, one of Connie’s three labs, stopped by to see what all the fuss was about! Pups, cookies, friends, neighbors – who could ask for more? Well, if you asked Connie, she would! She would ask for a record breaking sale – to sell this home for more than any comparable home in the neighborhood. What’s the lesson here? When used correctly, an open house, whether it’s for brokers or for the public, is a powerful tool in selling a home, but only when you really make the most of it being open. Selling a home’s entertainment value is best communicated when people experience it first hand. And that’s what Connie does differently. If you’re interested in working with Connie or selling your home, just call her. 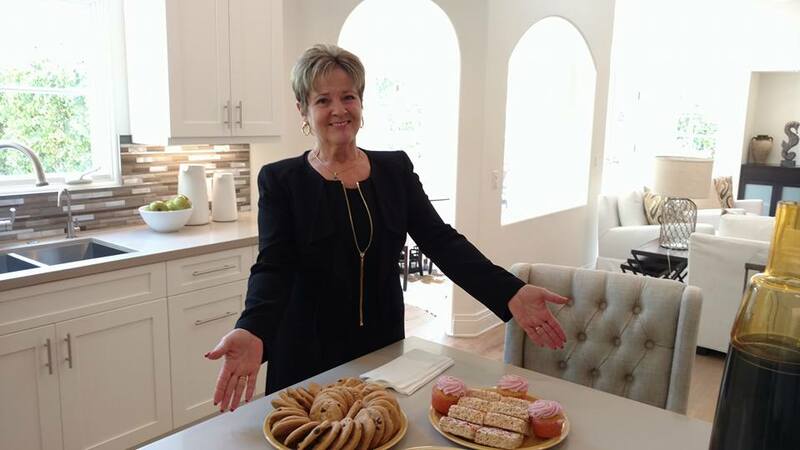 Karen Lewis, office manager at Nourmand Brentwood, came by to show support and “help” with the cookies! 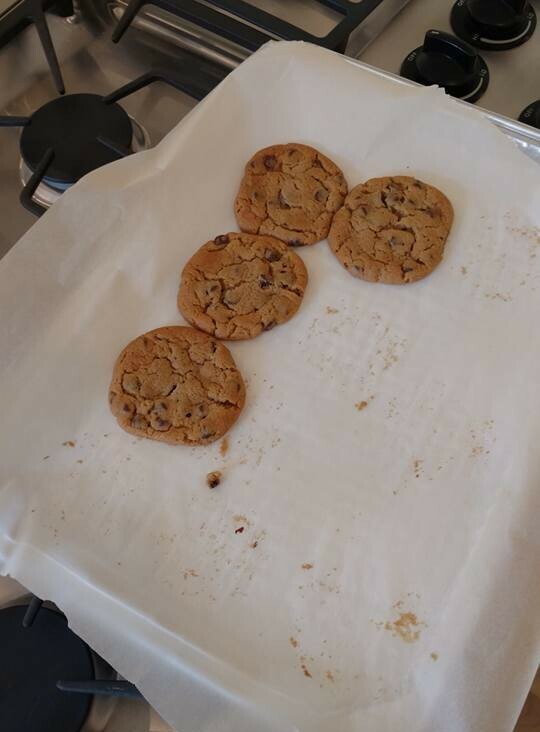 The first batch of Chef Nancy’s cookies did not last very long….